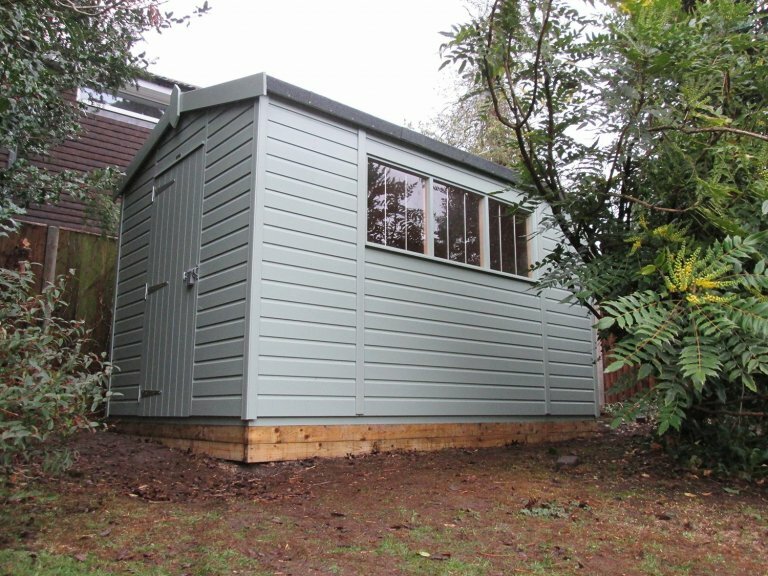 Measuring 2.4 x 3.6m, the shed is a spacious and attractive option with an apex roof covered in heavy-duty, heat-bonded felt. Other roofing options offered include grey slate composite tiles and cedar shingles. There is a single access door in the gable and several fixed windows in the length of the building ensuring that the interior will receive some natural light. 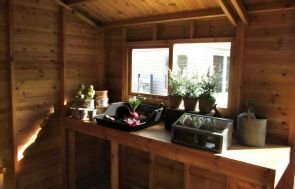 The exterior of the shed is clad with smooth shiplap painted in our external opaque shade of Sage, which was selected by the customer from our vast range of options. 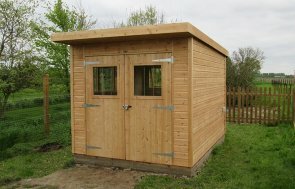 Our customer also opted to add a security pack to the building, which is ideal for those wanting to store expensive machinery or just have that extra peace of mind. This consists of our heavy-duty sliding bolt with fully encased seven lever lock, stainless-steel window bars and ‘un-screw-able’ screws in the door hinges. 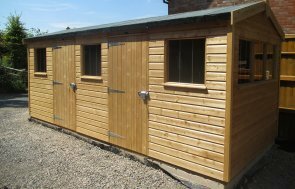 If you would like to view our range of high-quality superior garden sheds for yourself, we recommend that you pay us a visit at your nearest show site where there is a variety of buildings on display. Alternatively, you can contact us on 01760 444229.